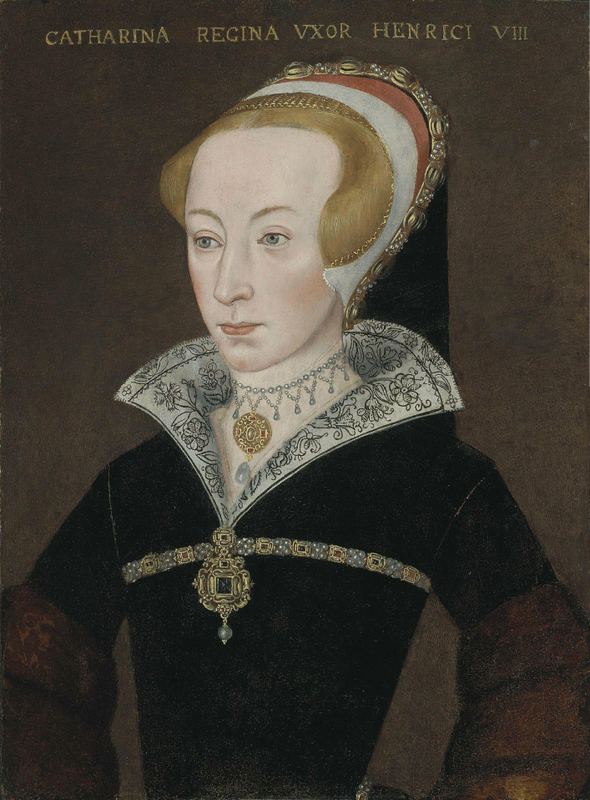 English School, circa 1590-1620: Portrait of Katherine Parr (1512-1548), Queen of England, half-length, in a black dress with black-and-white-embroidered collar and fur sleeves, and a bejewelled headdress. The portrait was sold at auction 7 December 2011 for £27,500 ($42,928). Provenance: (Possibly) William Bryant; Foster’s, London, 15 May 1823, ‘Queen Catherine Parr’, as ‘Holbein’ (unsold). Archibald Leslie-Melville, 13th Earl of Leven and 12th Earl of Melville (1890-1947); Robinson and Fisher, London, 29 November 1934, lot 107, as ‘Holbein’. J. Gold, 1964. Anonymous sale; Sotheby’s, London, 30 June 2005, lot 1, as ‘Manner of Hans Holbein the Younger 1497/8-1543’ (£11,000). with Philip Mould Ltd., London. Literature: S.E. James, Kateryn Parr, London, 1999, p. 421, fig. 30, as circa 1546; BBC History Magazine, April 2009, p. 33; J.P. Carley, ‘Sixth Wife. Italic ambitions: The works of Henry VIII’s last queen and the problem of identifying exactly what Katherine wrote’; The Times Literary Supplement, London, 3 June 2011, pp. 1-5, as ‘English school, sixteenth century’, illustrated on the cover. Exhibited: Richmond, Hampton Court Palace, “Henry’s Women”, 10 April-3 August 2009 (no catalogue).